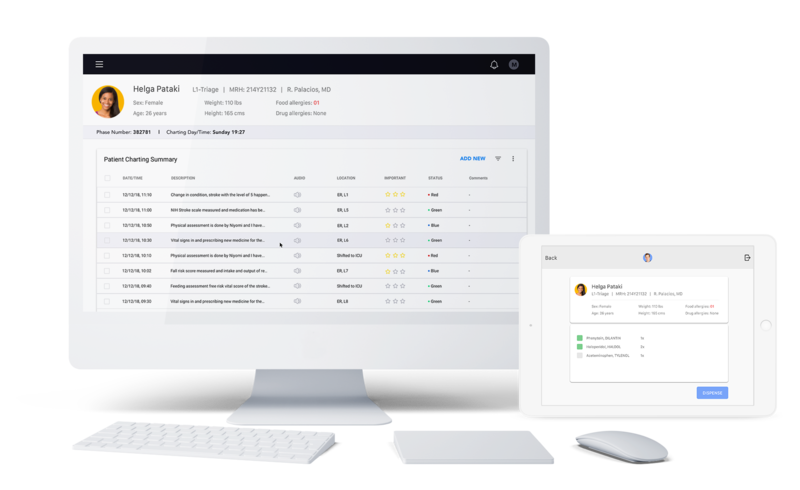 A multi-platform solution for ER nurses to balance patient care and peer communication with self-care. 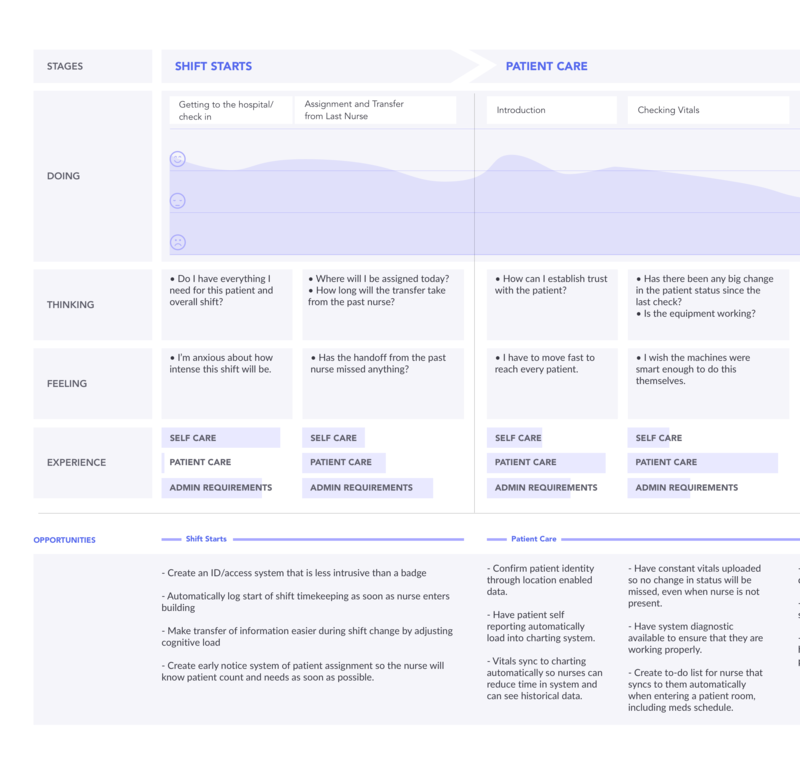 An exercise in design research, service design, and prototyping | To understand and design interventions for the primary pain points of ER nurses in a 12-hour shift with a focus on their need for balancing patient care and administration requirements with self-care. 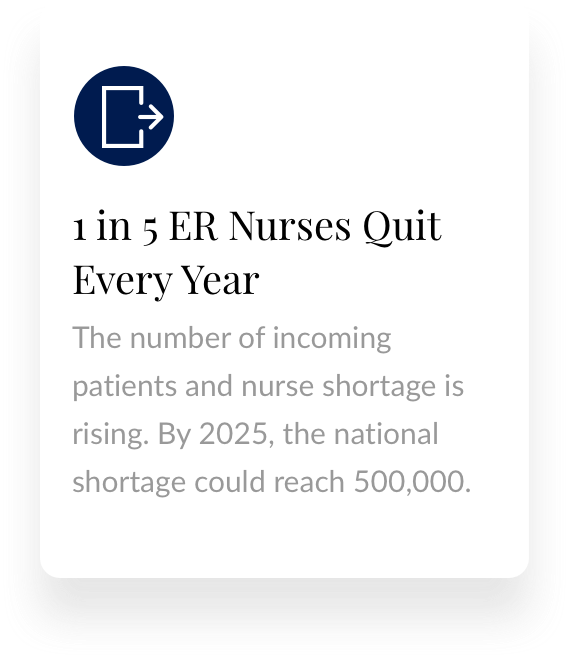 High burnout rate among ER nurses leads to medical errors– the third highest reason for deaths in the United States. Today, as patient acuities are rising, while the support resources become more constrained, nurses working in Emergency Rooms today have become exposed to a higher risk of burnout. 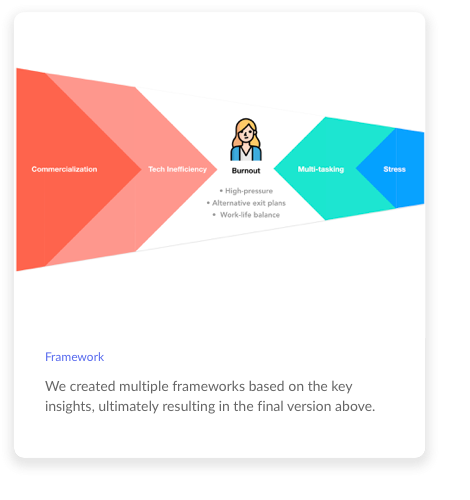 The rising demands from both the patients and the hospital are leading to a deterioration in their overall emotional and mental health and also resulting in more medical errors at the workplace. How might we focus on the ER nurses' needs of balancing patient care with self-care? How might we focus on the ER nurses' needs of balancing patient care and administration requirements with self-care? 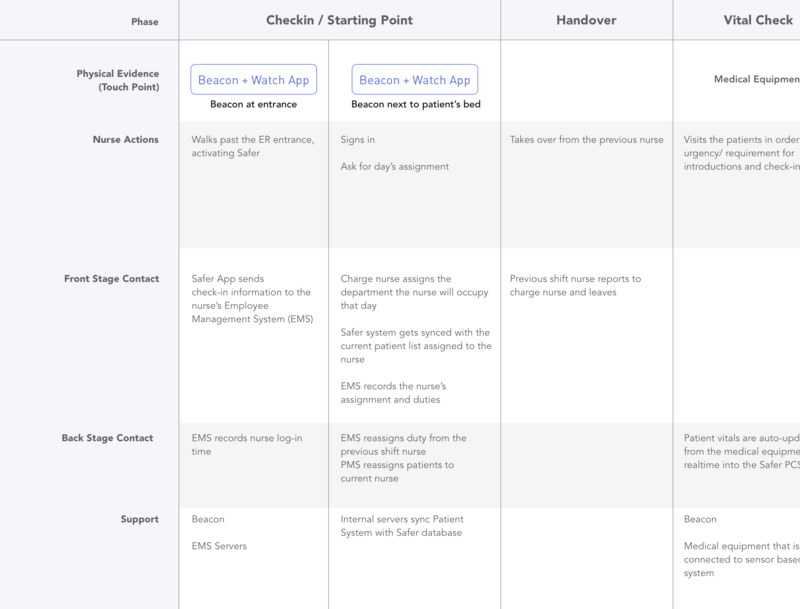 SAFER- Smart Assistant for ER is a beacon-enabled multi-platform service for ER nurses. It streamlines the charting and medicine retrieval process, and makes patient tracking and peer communication more efficient, ensuring effective work and stress management of ER nurses and more time for actual patient care. 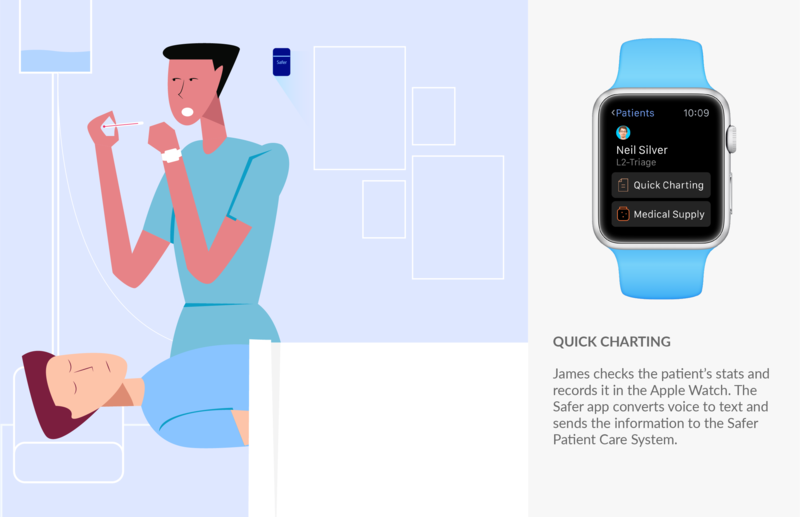 Safer's primary features sit on the homepage of the Watch and can be accessed both manually as well as become active via the beacon based on the location of the nurse in the ER. ER nurses can check their shift schedule as soon as they enter the ER and the secure app becomes activated. 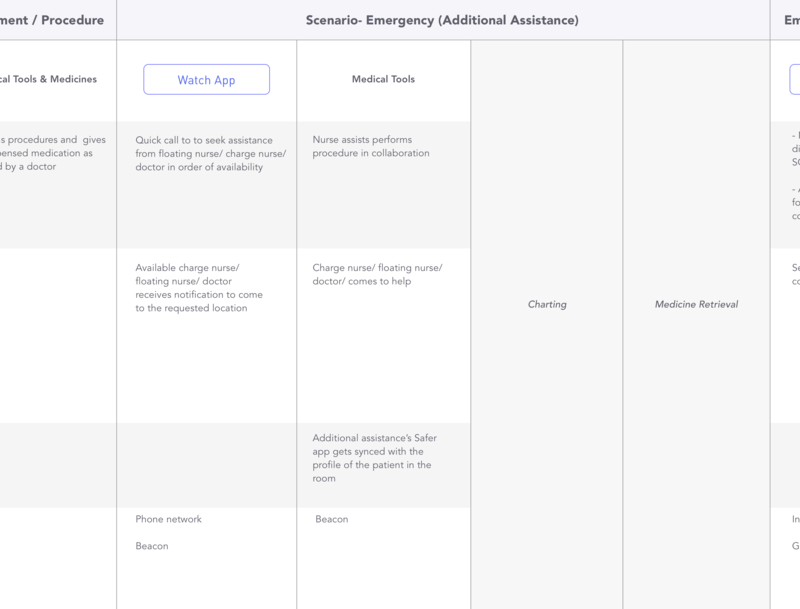 Here, the ER nurses can view the patients assigned to them. 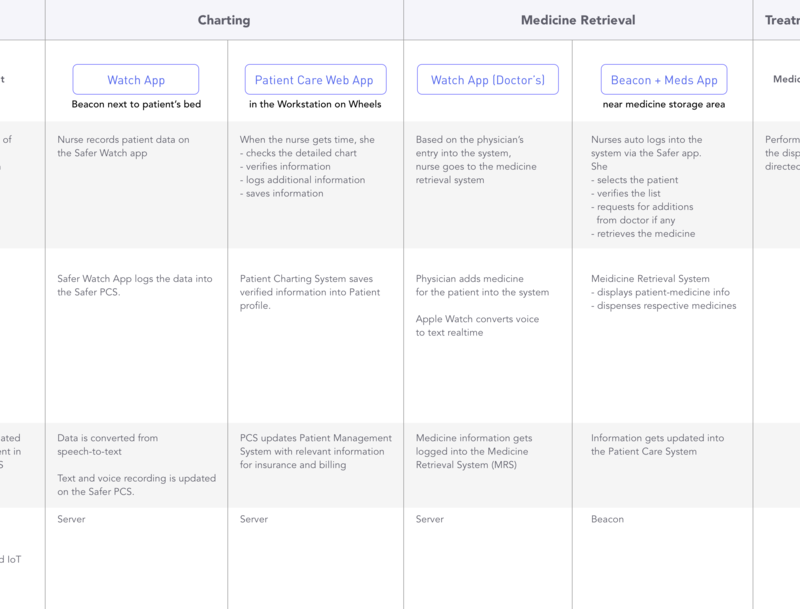 This list gets updated by the backend system as patients get admitted and leave. 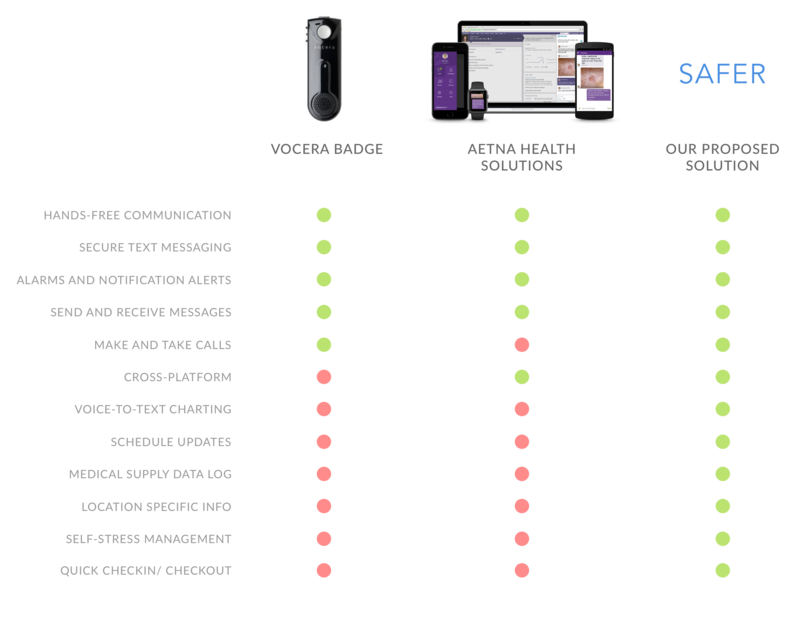 When in need of assistance, nurses can access a list of available staff to call or message. 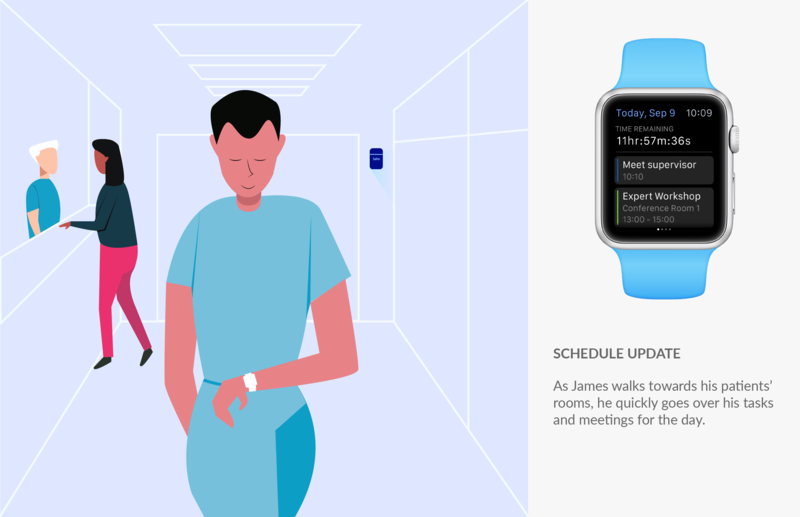 The nurse can quickly access an overview of her health stats without having to leave the app. 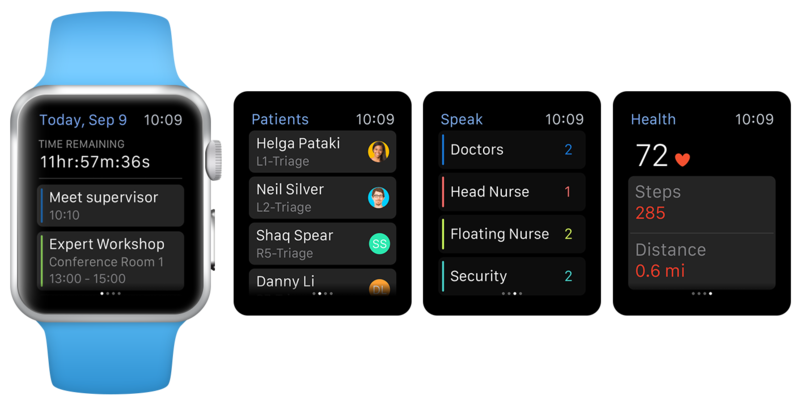 In case of need for assistance, the Apple Watch app shows a list of available staff, and notifies the selected person. 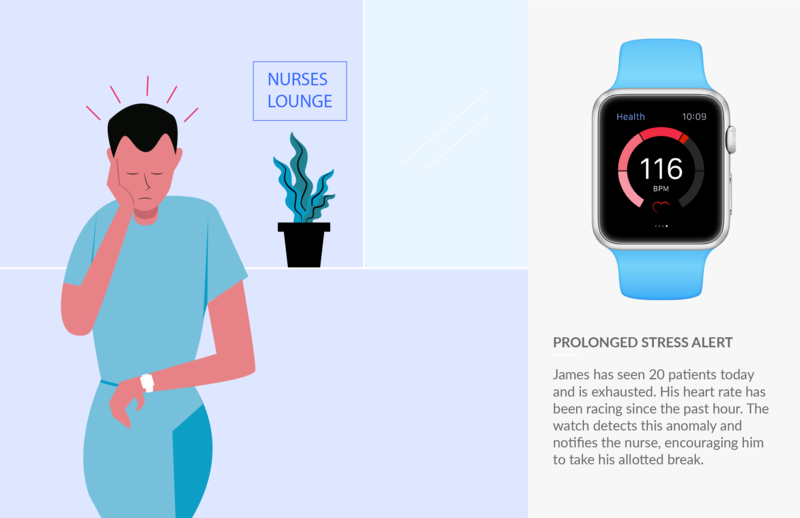 On detection of high respiratory and breathing rate over a considerable period, the Watch notifies the nurses to take a break. 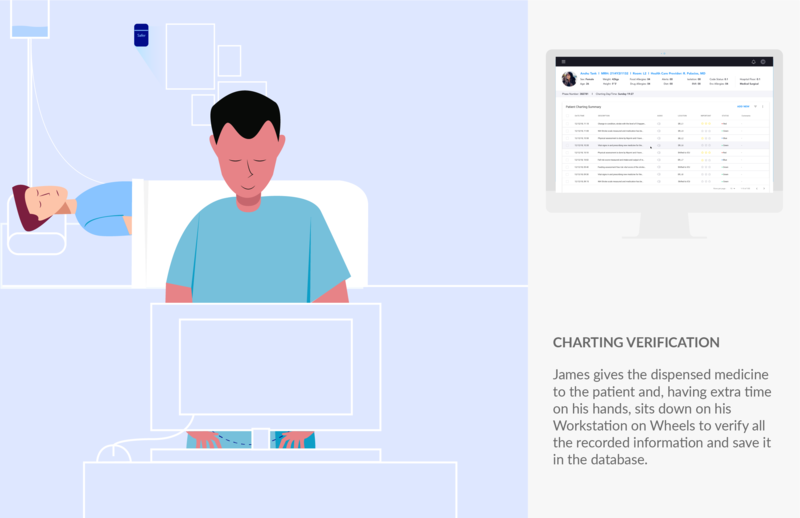 All patient data recorded via the Apple Watch passes through the Patient Charting System on the desktop for a final verification to ensure error-free reporting. 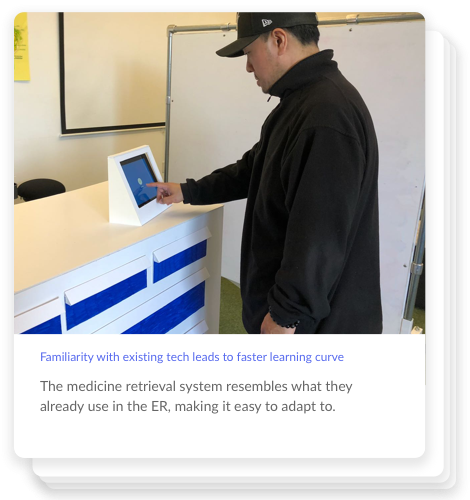 The medication recorded for patients get synced with the Medical Retrieval System on the iPad, making it easier to verify and collect the medication. 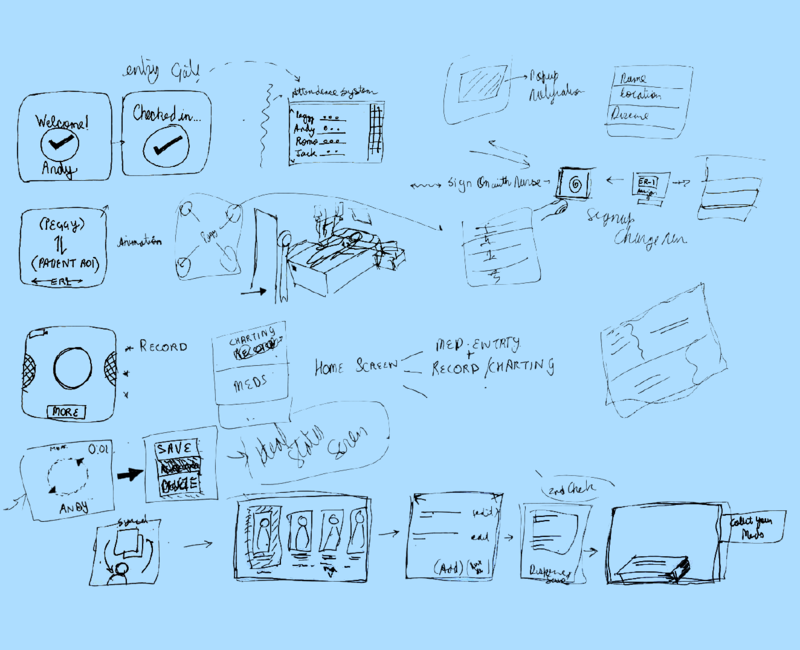 The storyboard helped us to visualize how the Safer ecosystem would be used by the ER nurse at the hospital in various points of their jouney. After our secondary research, we conducted qualitative interviews to study the underlying reasons for the low emotional health and stress management of ER nurses. Recruiting ER nurses was also one of the biggest challenges we faced in our process. 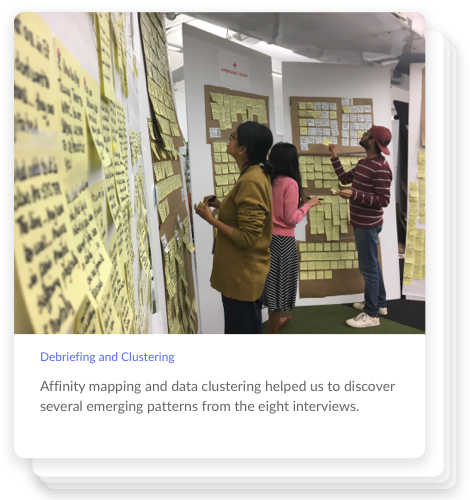 We started the synthesis process with Affinity Mapping wherein we clustered the data which surfaced several preliminary themes, which we then went on to refine into 4 primary themes and insights that recurred in many stories. Our final insights helped us to understand some of the causes of medical errors in the ER. 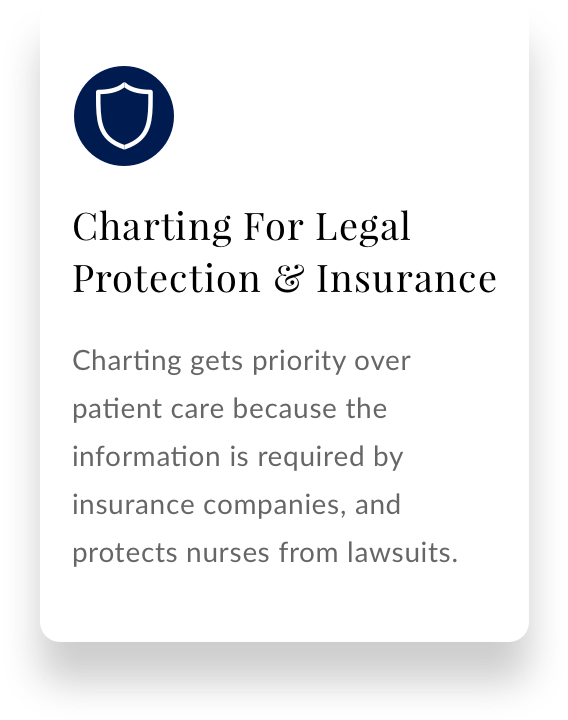 How might we improve the patient care process without compromising the requirements of insurance companies, hospital management & ER nurses? 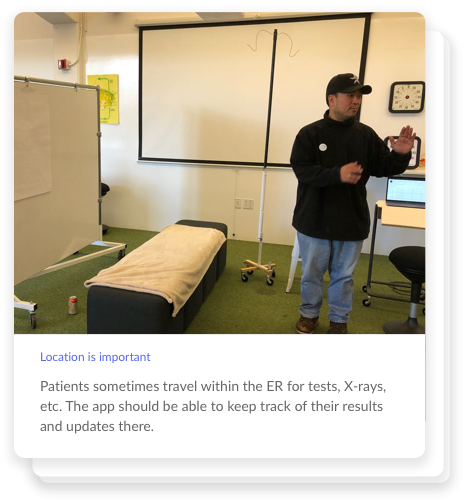 Our research further helped us to establish the primary, secondary and tertiary actors in the Emergency Room ecosystem that impact the ER nurse on various levels. 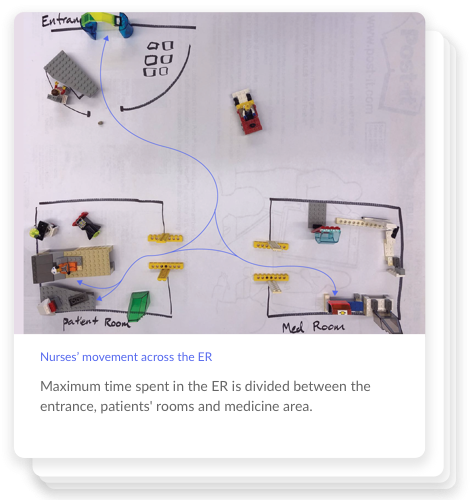 Based on the information gathered, we mapped the ER nurses' emotional and physical responses to each activity through all activities in their 12-hour shift and identified primary pain points and key opportunity areas. Hold and drag to view. 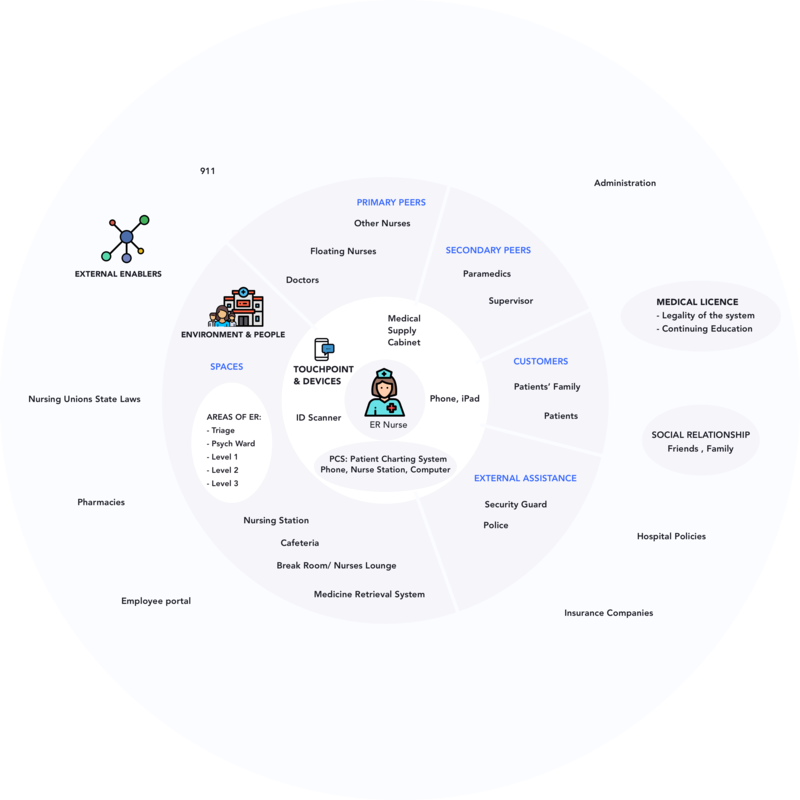 We studied a few current market offerings for healthcare professionals and did a comparative analysis of them with our discovered opportunity areas. 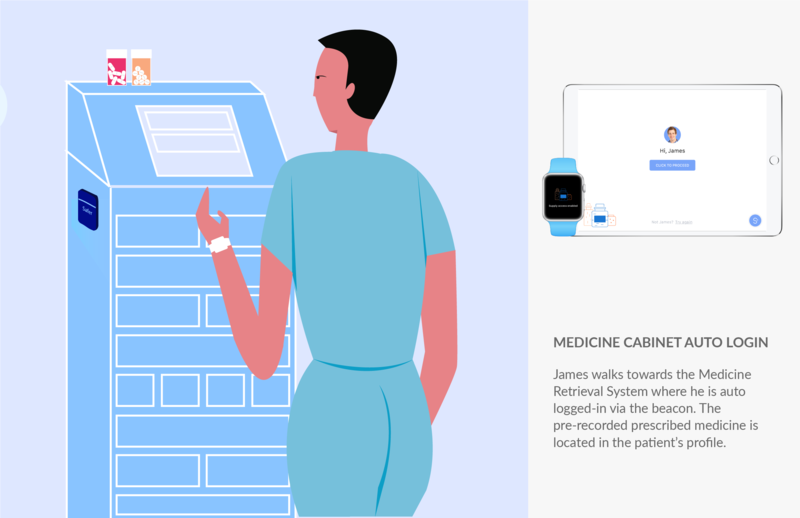 Keeping the communication ecosystem in mind, we visualized the spaces in the ER where the nurse will interact with the physical and digital touchpoints. 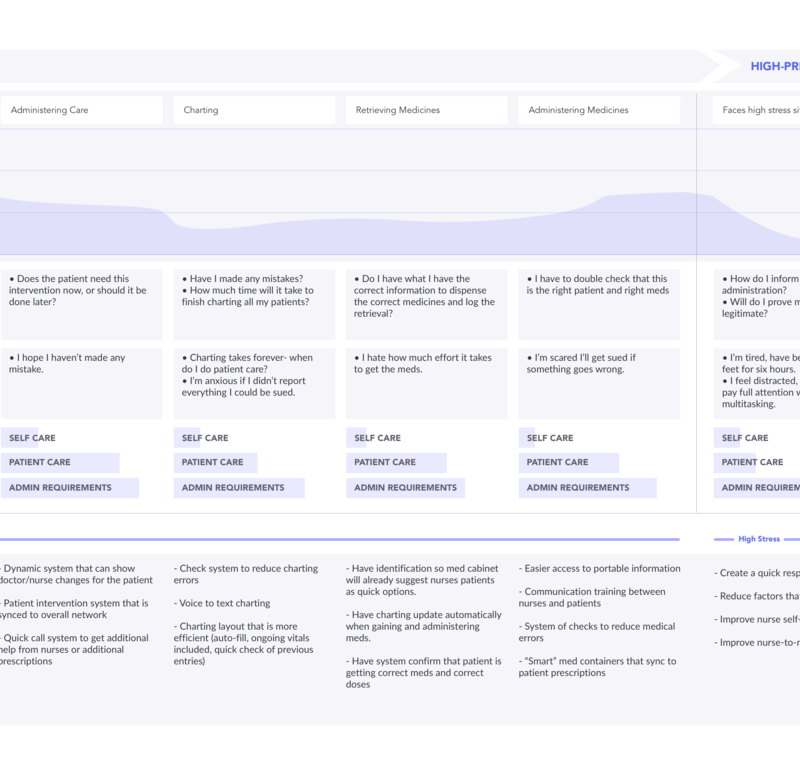 We then created a service blueprint to identify the digital and corresponding physical touch points, and establish the front-stage and back-stage actors as well as supporting services. 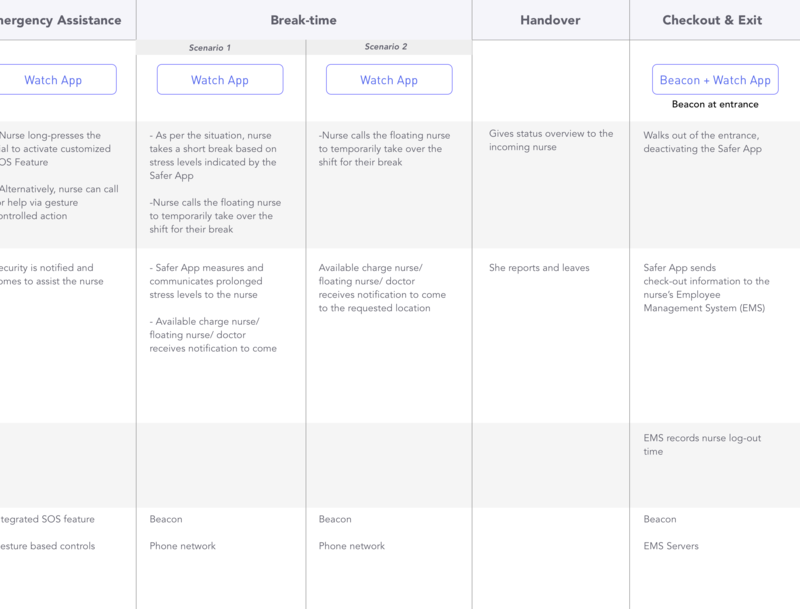 My team and I did a round of rapid prototyping where we created basic wireframes for each use case that we targeted in the service blueprint along with where and where not the Apple Watch app would work in sync with the beacon, as well as the medicine system tablet app and Workstation on Wheels laptop display. 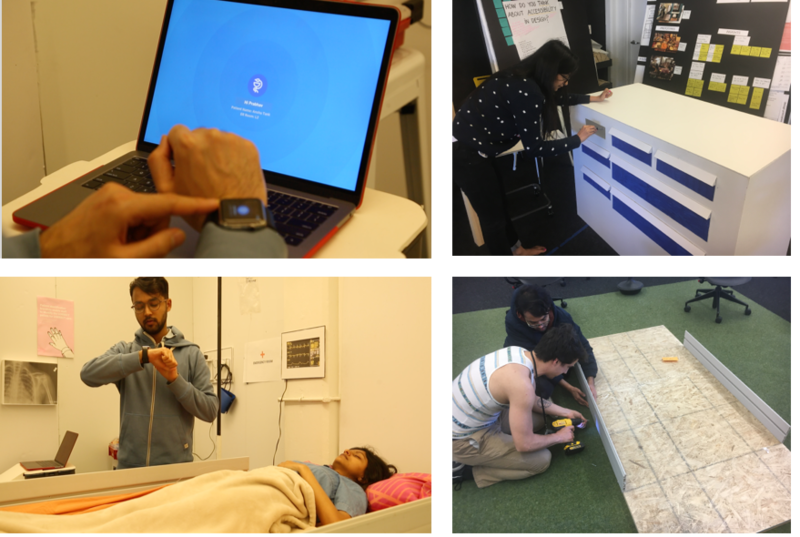 We designed the beacons to have enough surface area to easily stick to various surfaces like walls, beds and cabinets. 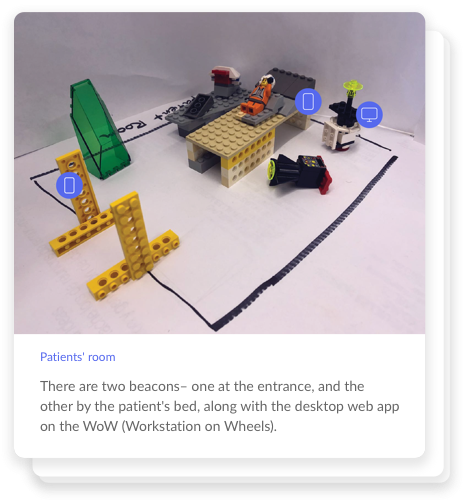 This beacon is modeled after iBeacon, Apple’s version of the Bluetooth-based beacon concept, which allows Bluetooth devices to broadcast or receive tiny and static pieces of data within short distances and works seamlessly with the Apple Watch. 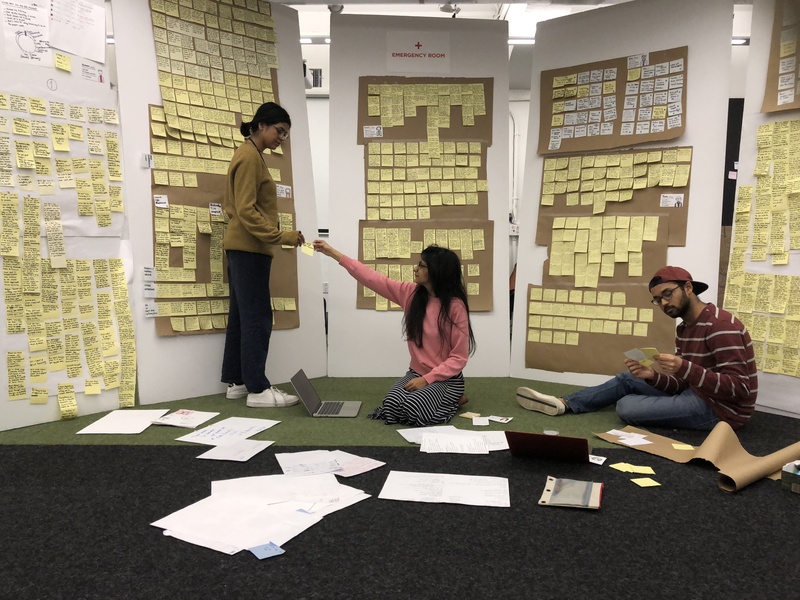 To present the prototype, we crafted the physical space and planted the product solutions in all the decided parts of the user journey. 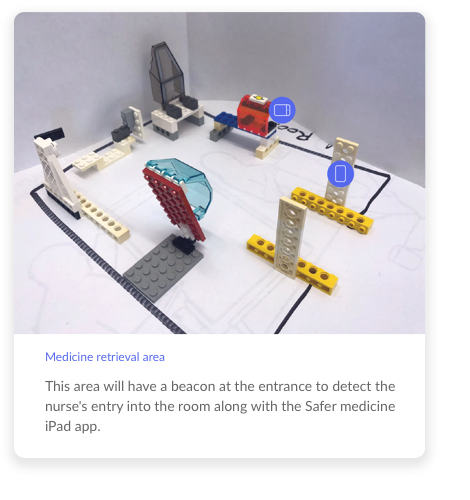 Recreating the ER setup and role-playing through the nurses' 12-hour shift helped us to effectively present the solution's features while putting the audience in the shoes of our user. 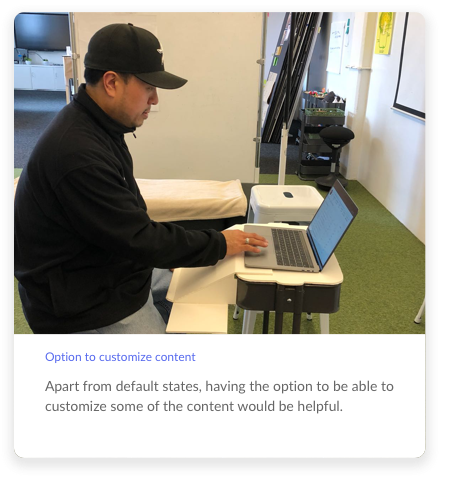 We invited Mike Wong, an ER Nurse at UCSF with 8 years of experience to interact with and test our prototype for feedback. 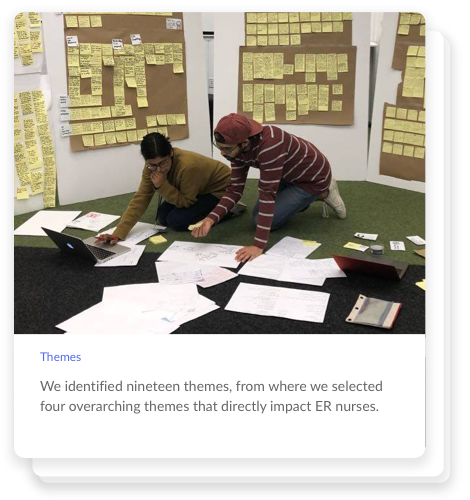 The willingness of ER nurses and other stakeholders to share their deeply rich personal stories became the foundation of our project. 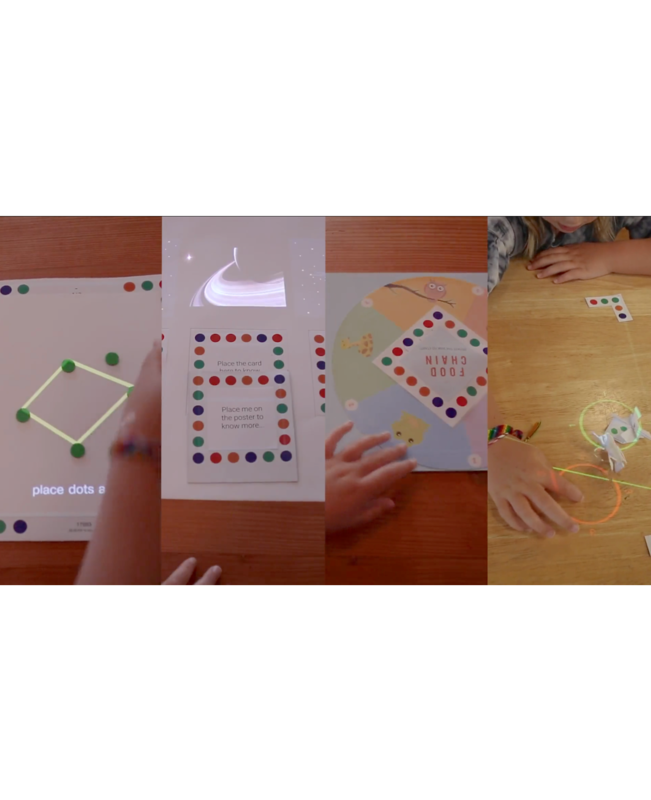 We created the prototype to cater to multiple scenarios for our user along with simulating the spatial experience. 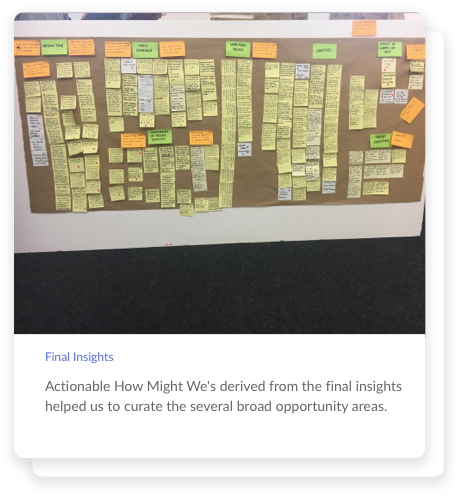 Deep-diving into creating an in-depth journey map as well as present and future service maps based on gathered data heavily informed our opportunity areas. 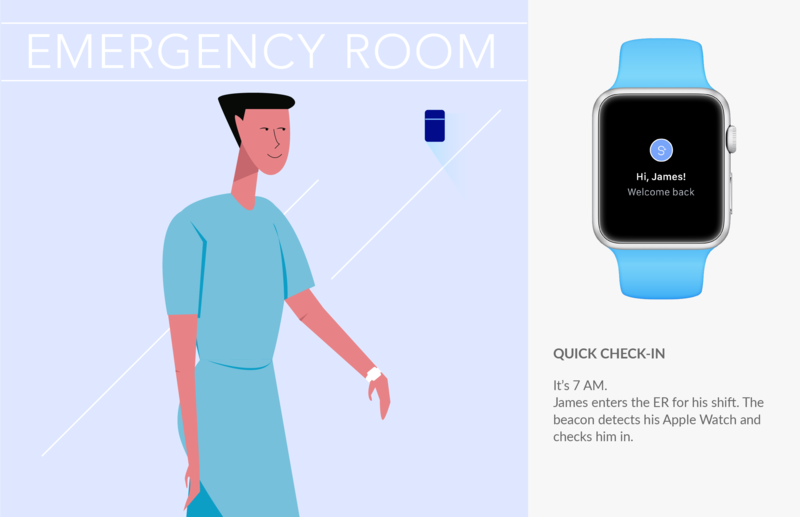 While there are research studies and existing industries associated with the use of wearables in healthcare, there are no direct statistics about how many ER nurses prefer wearing them. All ER nurses might not be willing to adopt this product. 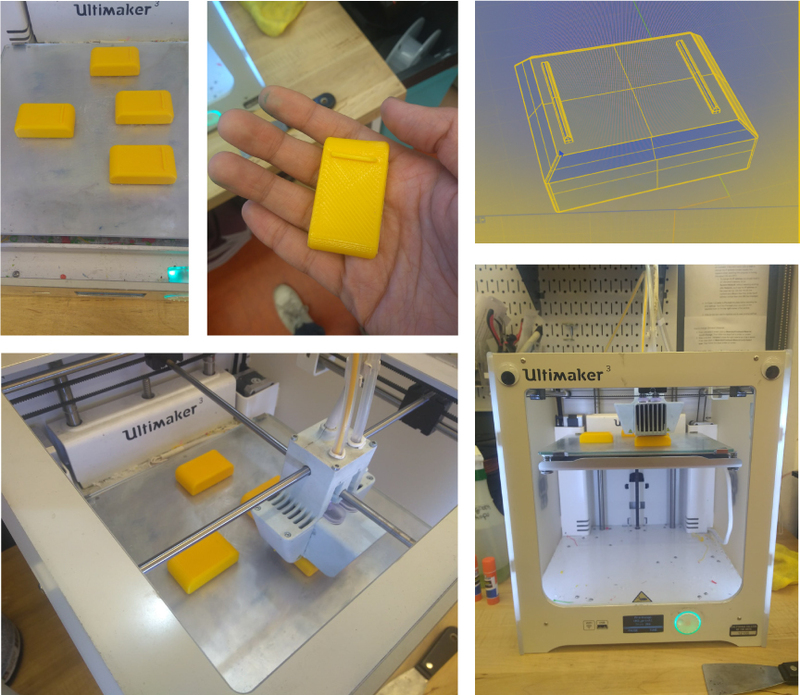 Some hospitals have a no-accessory policy. 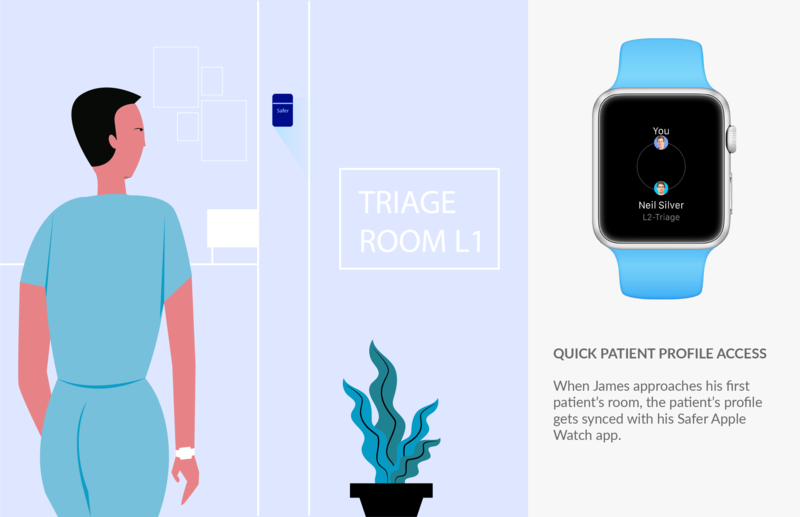 Will several hospitals have the budget to invest in Apple Watches + iPhones for all ER nurses? 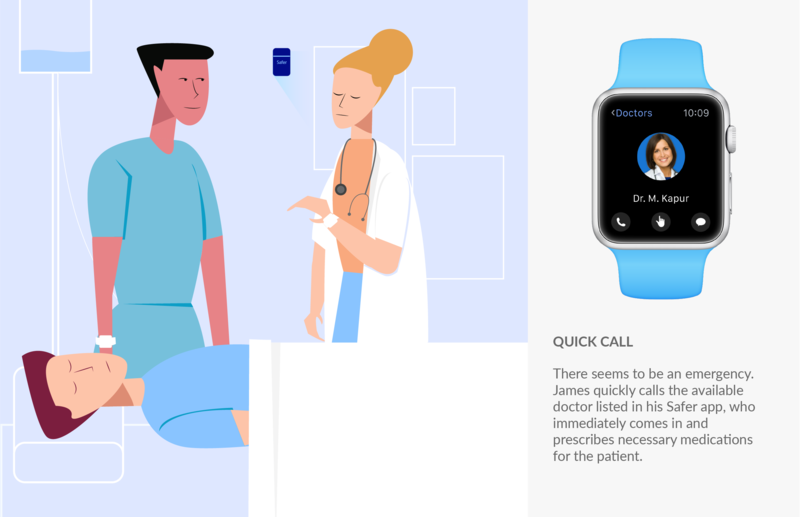 Since nurses will have this wearable to take home, I'd like to further study which app features can be made available to them outside the hospital radius. 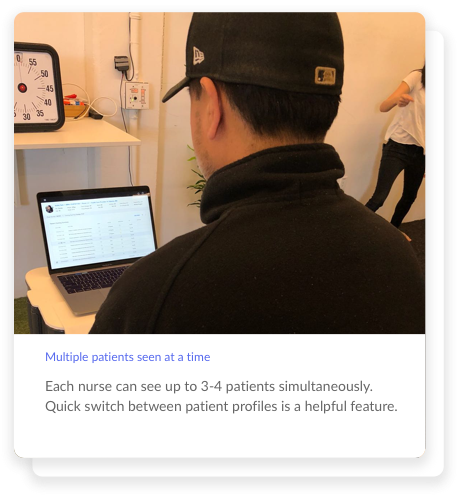 Can Data Assimilation on Nurses Go Against Them? 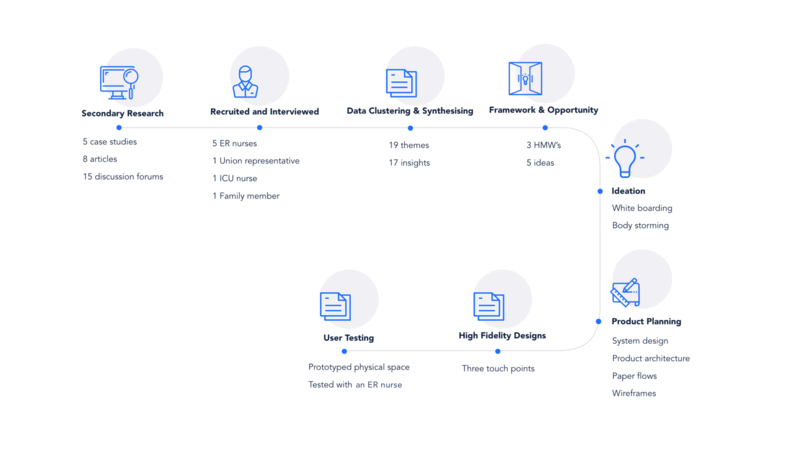 If in-depth data on the nurses' stress is made available to hospitals, can it help make them take better actions for the nurses' needs or would it be counted as a weakness on the nurses' part in an already unsupportive ecosystem? 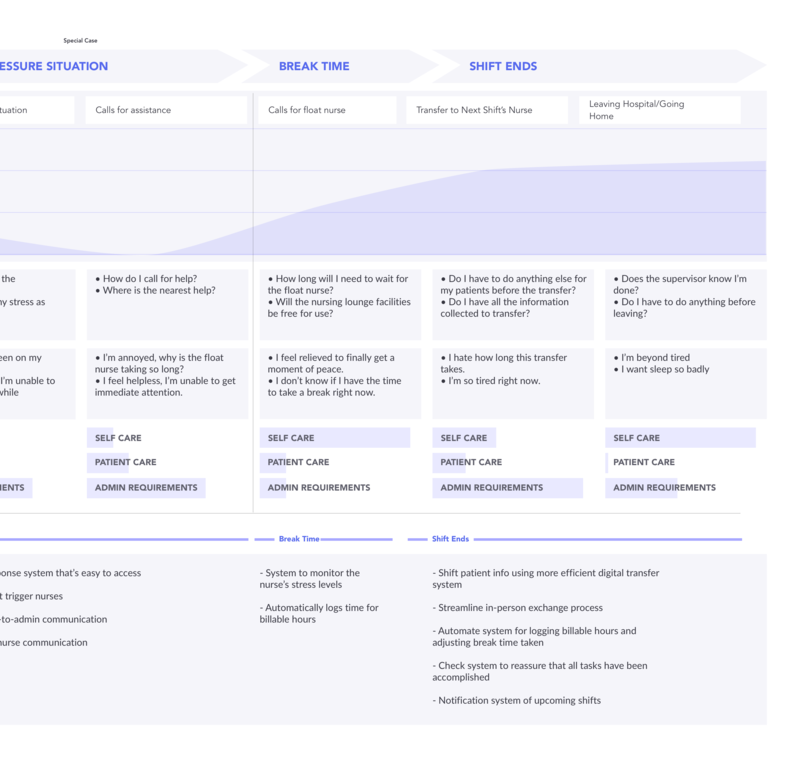 Creating an onboarding process to inform the ER nurses about Safer's benefits and how to use it. 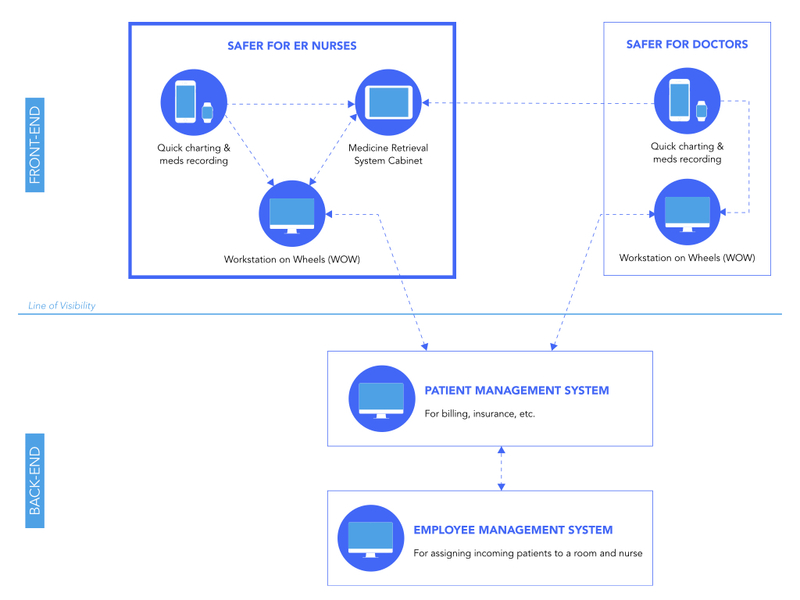 I'd like to design the patient-facing solution for Safer and understand how it can be integrated into the current Safer ecosystem, possibilities including but not limited to giving more real-time data to ER nurses, automatic real-time data-entry into the Patient Charting System, etc. 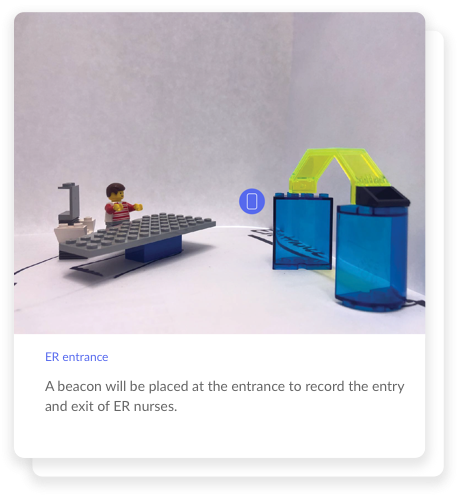 Space-centric interactions can enable the beacon to gather data on the footfall of ER nurses in different spaces, that could help hospitals manage the ER space design and tasks better. 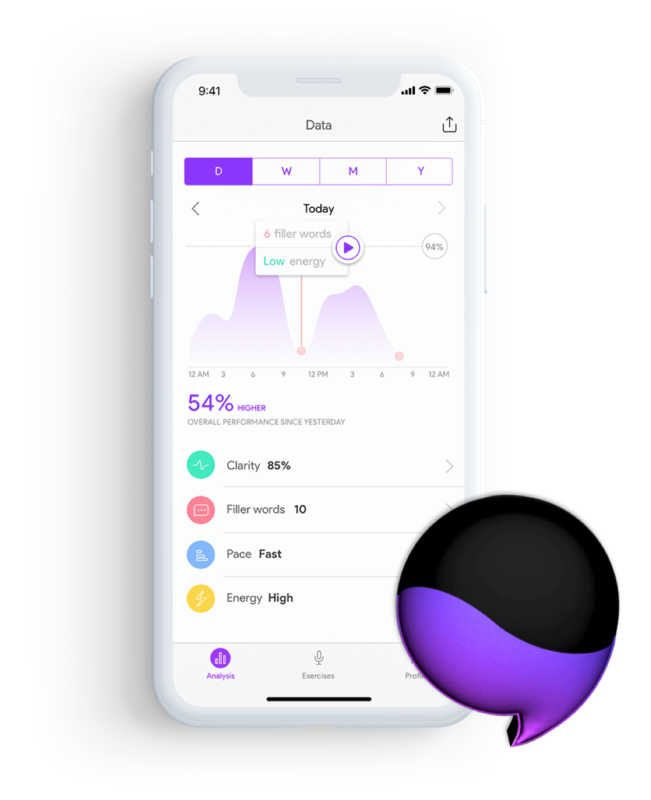 The nurse's health data recorded during their shift can also help inform under what circumstances and which tasks they feel most stressed during. 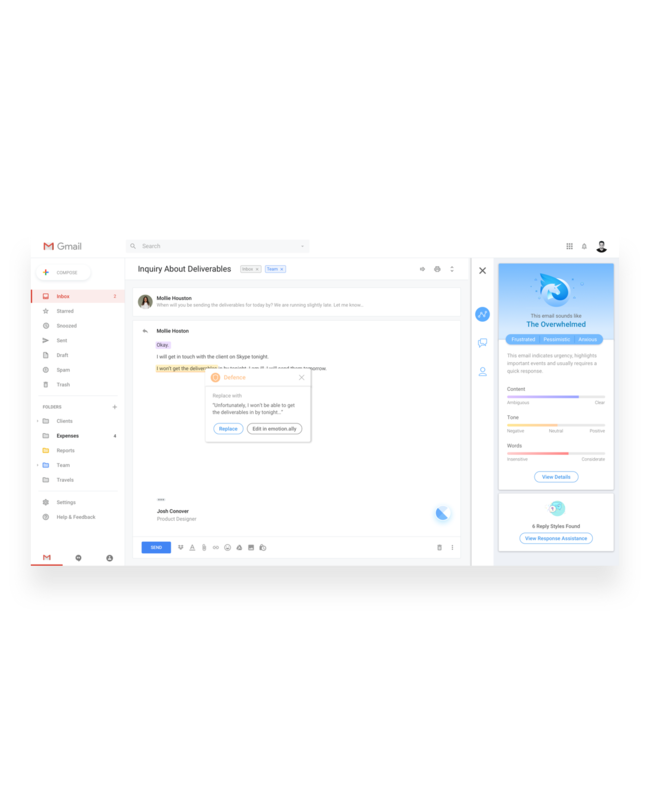 Introduce an 'Additional Notes' feature that can help nurses transfer information to the next shift nurse.